Happy New Year Who fans. After the New Year’s Day Special ‘Resolution’ we’re now faced with a whole year, at least, of no new Doctor Who. We’ve been here before of course, a few times, so we can get through it but what makes these “dark times” easier? Let’s look at some great ways you can still enjoy Who. This is potentially the easiest thing to do and it’s not something that’s unique to a Who drought, we all watch plenty of Who all the time anyway. What’s cool about starting a fresh year is that you can plan your marathon viewing for the whole year. For example, you could say each month is assigned to a Doctor and you’re going to watch a bunch of stories every weekend of that month or every Friday evening or every Sunday morning. I’ll leave it up to you to refine the details. Which ever way you do it, it’s a good feeling knowing that your year is planned and filled up with Who. Ah, the good old fan convention/event. They come in all shapes and sizes across multiple locations spanning the UK (and many other countries). The convention scene is typically the busiest with the more famous stars but as a result is usually the most expensive. 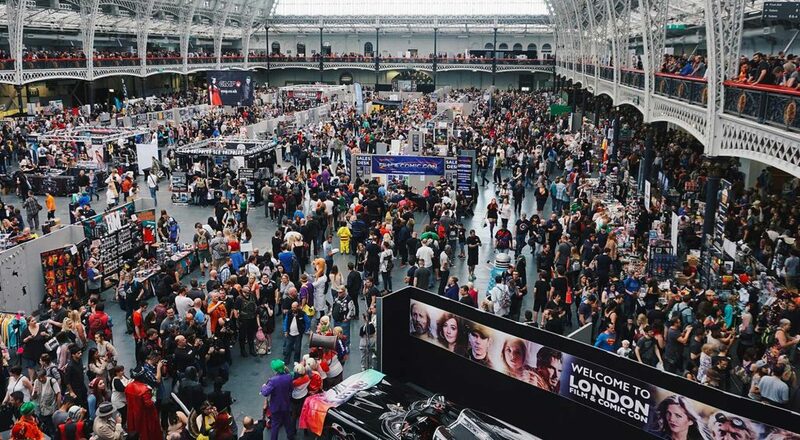 These are things like London Film & Comic Con, MCM London Comic Con etc along with slightly smaller events these companies run at various times throughout the year. These are good if you want to meet your favourite Doctor or companion and get a signed pic and/or photo. There’s also some half decent merchandise sold at these events if you’re after that Adric suit style t-shirt. Something to consider are smaller events. In the UK we have smaller conventions from organisations such as Fantom Events which run more low key days at a cheaper cost. They usually cater to a more Classic Who audience but it’s still a great day to be had. There’s also more unique events to behold such as the very cool cinema showings at the BFI Southbank Cinema in London. 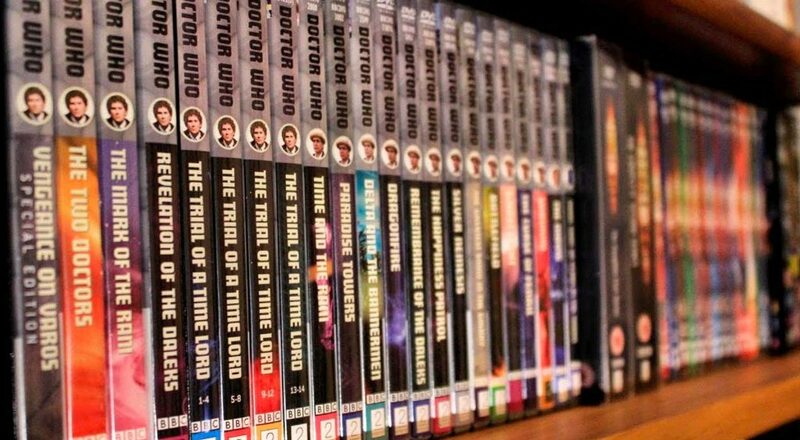 They typically show a Classic Who story to coincide with the release of a special edition set (the last showing was Earthshock to celebrate the release of the Season 19 Blur Ray Boxset). These are accompanied by a Q&A with cast and crew of the era and they’re a ruddy good afternoon. Whichever type of event you choose to attend the coolest aspect by far is simply meeting and hanging out with other Who fans. It’s awesome chatting Who (at very deep levels at times) with like minded folk who “get” what you’re talking about. People have made friends for life at conventions, dive in. Where do we start with Big Finish then. They’ve put out so much great quality content over the years, it’s a bit of a beast to behold. How would one describe Big Finish? It’s essentially a canon-friendly collection of stories from (mainly) the Classic Doctors with some modern era stories starting to gain traction. What did the Eighth Doctor do for the many years before his regeneration? Ever wondered if the Sixth Doctor got a proper regeneration? After some more multi-Doctor stories? Big Finish has it all. Think of it as the world of Doctor Who that you love from the TV era’s but fleshed out with plenty of back stories and extended adventures. All of the Doctors are here in some shape or form (the Fourth Doctor through to the 10th Doctor all star in their stories with some great voice actors filling in for the others) along with their respective companions along with some new additions you haven’t seen before from TV. We could write a whole article on Big Finish stories but jump over to the site and have a browse around and see if there are any stories that take your fancy. There’s also a great website called The Time Scales which offers up lots of reviews and recommendations. Podcasts. There’s a raft of them littered throughout the iTunes podcast section (and the now many other podcast networks) so do a search for “Doctor Who Podcast” and plenty should appear. 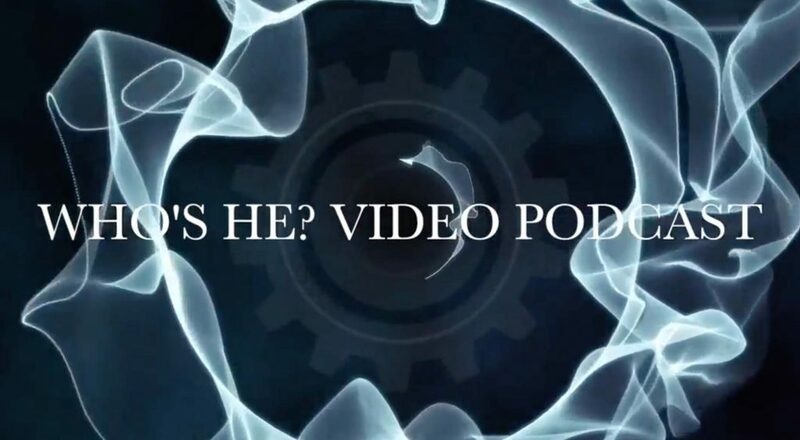 Shameful plug alert – along with our own podcast there’s a few that I listen to regularly which are good starting points: “Doctor Who: Who’s He Podcast”, “Progtor Who Podcast”, and “Krynoid Podcast” plus a few more. Pick a few out and listen to a couple of episodes and decide if you want to subscribe. YouTube. Like podcasts, there’s a large amount of content (more so here) and the quality varies. Here are some more recommendations based on some channels I subscribe to. Another shameless plug alert – my co-host Adam’s channel “The Geeks Handbag”, “The Who Addicts”, “thehostproductions” and “Doctor Who: Who’s He? Video Podcast”. Also like the podcasts category, have a browse around and get stuck in. 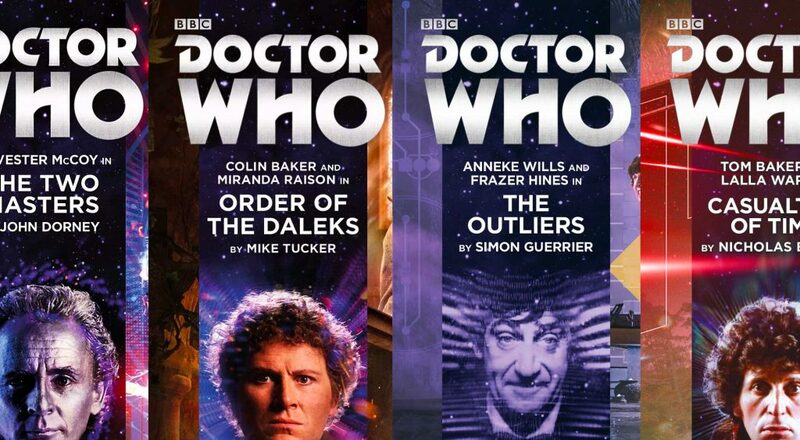 Although the BBC aren’t putting out any new episodes on the telly box there are still official Who stories released regularly from BBC Books along with plenty of unofficial books too. Doctor Who: The Writer’s Tale: The Final Chapter – I always recommend this one and have done loads of times on the podcast. It’s a fascinating insight into the making of Russell T Davies’ era of the show. Doctor Who: The English Way of Death – A great 4th Doctor story based on the old Virgin Missing Adventures range. Great characterisation and the story pips along nicely. Doctor Who: Rose (Target Collection) – One of the recent Target novelisations written by Russell T Davies and fleshes out the episode Rose with some extra characterisation and scenes. Doctor Who: Witch Hunters – I’m a sucker for the Salem witch trials era and this story featuring the 1st Doctor is a belter. Dark, creepy, surprisingly historically accurate and author Steve Lyons writes dialogue for the 1st Doctor so well you’ll hear Hartnell’s voice in your head as you read it. 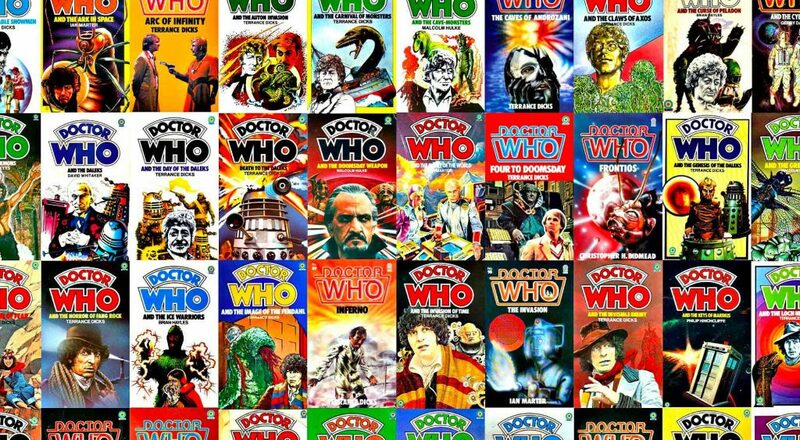 Doctor Who and the Abominable Snowmen – it would be remiss of me to not include a novelisation by Terrance Dicks in the list. He’s written so many he’s border-line superhuman. There are many great examples of his writing that I literally closed my eyes, waved my finger along my bookshelves and stopped after counting to three. The Abominable Snowmen won’t disappoint. Very well written, engaging story and you can see Dicks’ brilliance even in this early stage. There’s plenty to keep Who fans busy throughout this year and into 2020 before Series 12 makes an appearance. Let us know on the socials if you pick up any Big Finish releases or books and better still, tell us face-to-face when we bump into you at a convention.